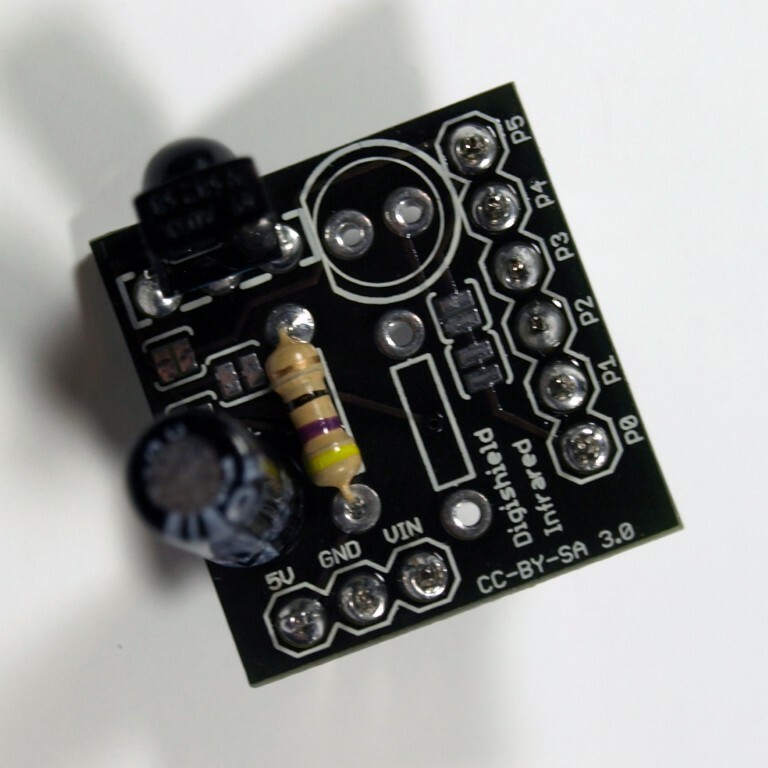 The Infrared Shield Kit allows you to connect a infrared receiver with the Digispark development board. 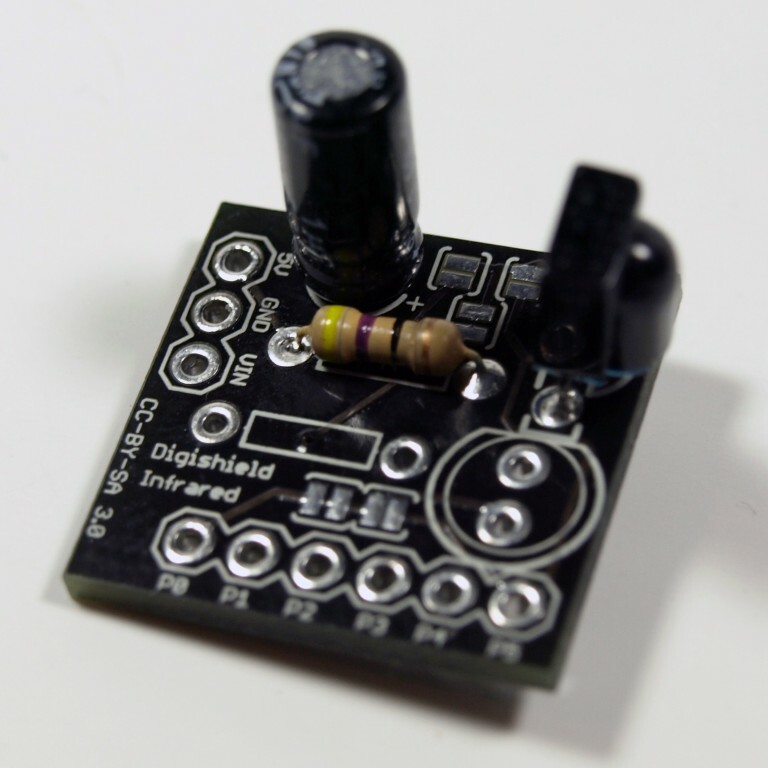 The Infrared Shield connects the TSOP382 IR Receiver Diode to the Digispark allowing the Digispark to receive signals from standard TV remotes. 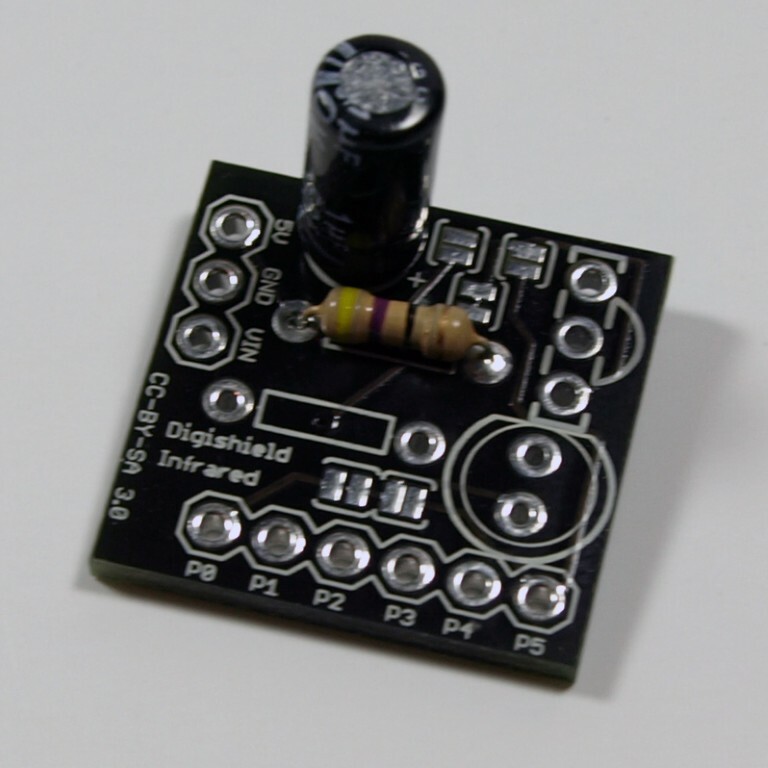 The Infrared Shield circuit board also includes support for adding an Infrared LED for transmitting IR signals, thought the LED is not included. Insert the resistor where 47R is printed on the board. Solder the leads and clip off the excess. Insert the 1uf capacitor, ensure that the longer lead is inserted into the hole with the + sign next to it. Solder the leads and clip off the excess. 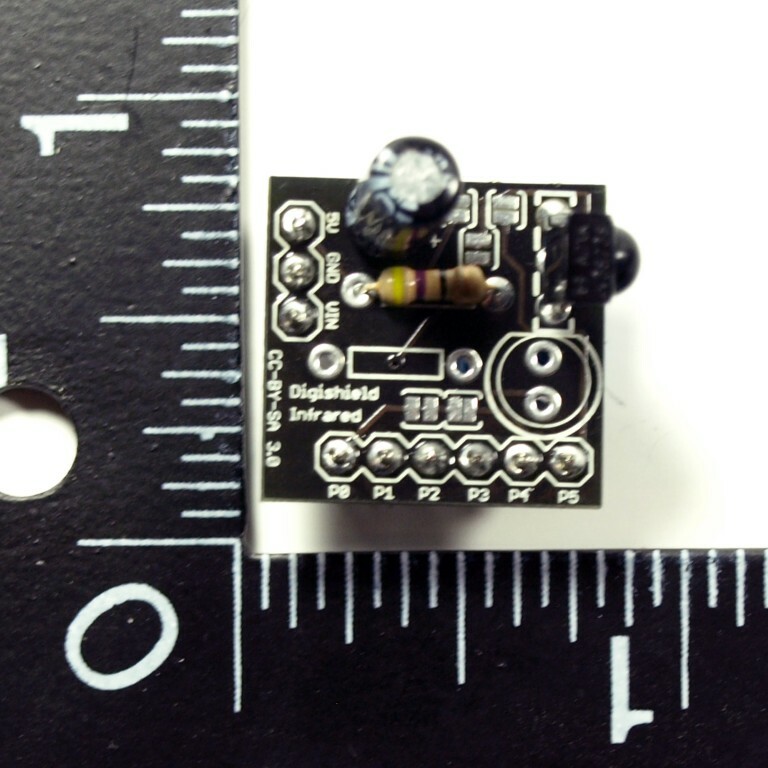 Insert the IR Receiver Diode matching the shape to that printed on the board. Solder the leads and clip off the excess. The IR Receiver is connected to P2. To connect it to P4 or P5, cut the small trace on the solder jumper between the two jumpers grouped together and the 4R7 resistor. To connect it to P5 bridge the solder jumper next to the receiver with solder. To connect it to P4 bridge the solder jumper next to the capacitor. 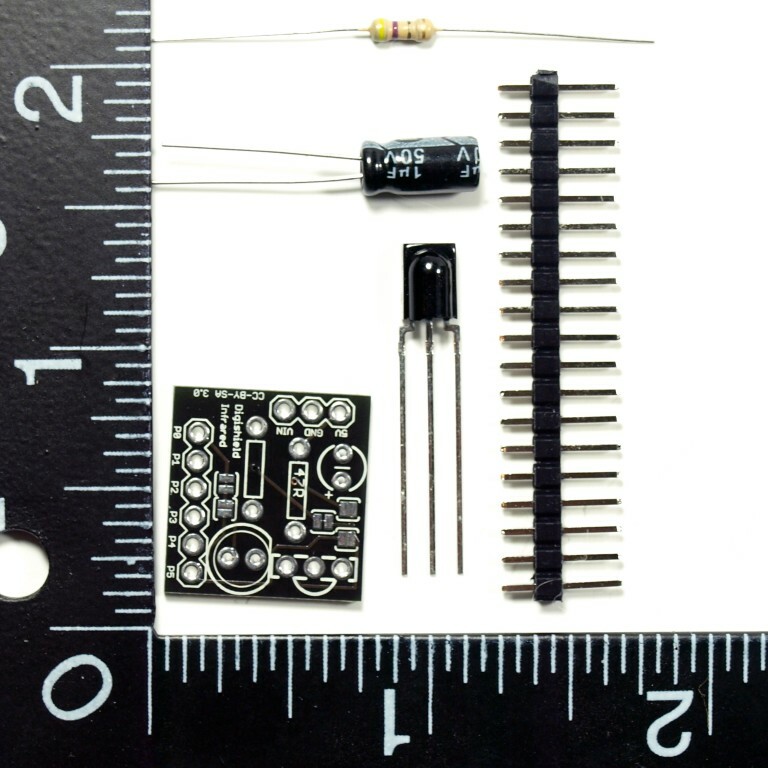 See the Infrared example included with the Digispark Arduino Addon.